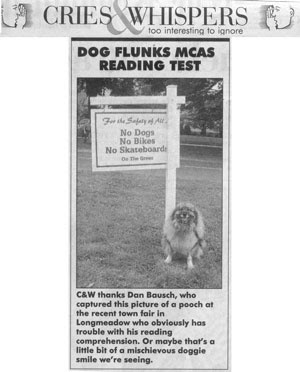 to Dan Bausch- one of Longmeadow.org's Around Our Town local photographers. One of his photos was selected for the Cries & Whispers column in today's Republican newspaper. Dan has been taking photos of local events and happenings and sharing them online since last December.... When you have some time, check out the rest of his photos at Around Our Town on Longmeadow.org..... perhaps you will be in one of them.